Blue Rose Epics | Entertainment: Glass (2019) Trailer! Shyamalan's Unbreakable (2000) / Split (2016) Crossover! Glass (2019) Trailer! 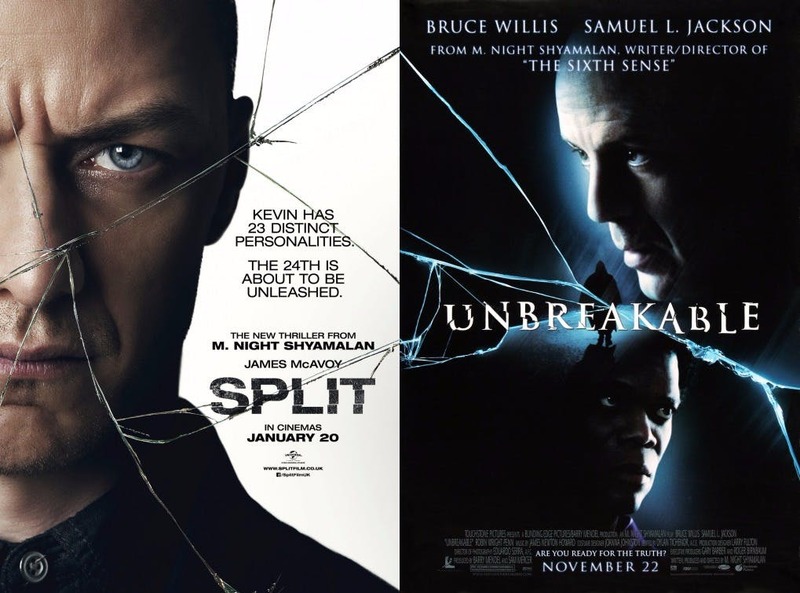 Shyamalan's Unbreakable (2000) / Split (2016) Crossover! 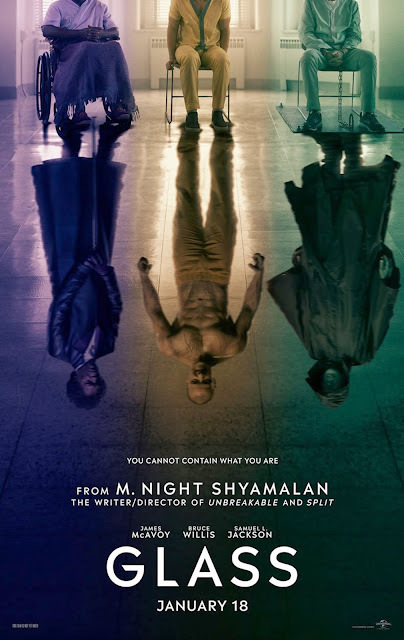 M. Night Shyamalan's new movie Glass (2019), the trailer for which is down below, has been literally twenty years in the making. Ever since audiences were tricked into watching a comic book-inspired superhero origin story masquerading as a supernatural thriller with Unbreakable (2000), fans of the film have been hoping for a sequel that would push the premise to its fullest. 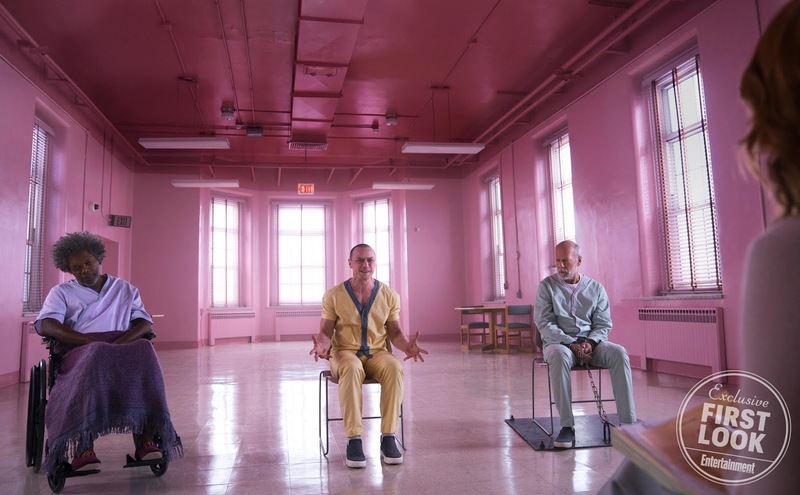 And funny enough, nearly two decades later, Shyamalan tricked movie audiences again into watching a secret sequel/spinoff of Unbreakable masquerading as a standalone horror film: Split (2016). Two decades is a long time to make an audience wait for the next adventure of Bruce Willis's superbly acted David Dunn to reach the big screen, but with Hollywood's current obsession with resurrecting old intellectual property, such as Transformers, Star Trek, Star Wars, etc. But while a case can be made that all those other franchises had definitive endings to their respective sagas, Unbreakable (2000) always felt strangely open ended and incomplete. It was easily the best and most interesting comic book superhero origin story since Richard Donner's Superman (1978), but at the very moment we were primed for the many adventures of David Dunn to begin, nothing happened. The secretive marketing campaign was a little too successful at masking the film's true nature, and as a result, the film has taken several years to really make its rounds on home video and become the treasured classic I always recognized it for being. I was not alone in my high estimation of Unbreakable (2000), by the way. Nearly a decade ago, screenwriter and film director Quentin Tarantino released a list of his Top 20 favorite films released since he began making films in 1992. He capped the list with Unbreakable, in which he discussed it as a true work of art and a masterpiece of filmmaking. Above is a clip of him discussing the film at the end of his favorites list. Since the first time I saw the film, I have always shared Tarantino's sentiments about how great Unbreakable always was. 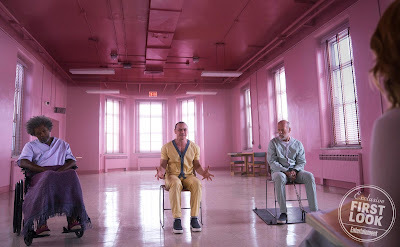 It is fair to say I have been excited for Glass (2019) to arrive in theaters for nearly two decades now. And it has to be some kind of minor miracle that David Dunn's war with Elijah Price will rage on again once more at the box office. Tarantino and I are not the only ones excited for this next chapter, either. Check out comedian Patton Oswalt's impassioned plea for an Unbreakable sequel in this video clip a few years back from his visit on Screen Junkies. Thankfully, Tarantino, Oswalt, and I can now rest assured that Shyamalan's remarkably grounded and realistic superhero universe continues. I wish M. Night the best, because I have been rooting for his comeback for years now. Making Glass (2019) as good as it deserves to be will help ensure Unbreakable (2000) is watched and re-watched and rediscovered for decades to come.